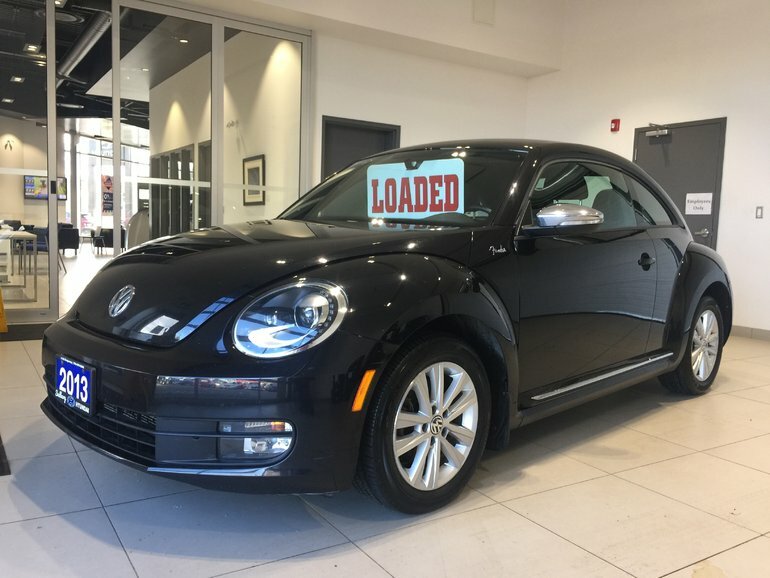 Home > Used Vehicles > Volkswagen > Beetle Coupe > 2013 > 2013 Volkswagen Beetle Coupe FENDER EDITION - 170 HP 5CYL! MOONROOF! 2013 Volkswagen Beetle Coupe FENDER EDITION - 170 HP 5CYL! MOONROOF! Beautiful, rare Beetle Fender Edition, equipped with the amazing 2.5L I-5 engine. Fab features include: Bluetooth, power moonroof, heated leather interior, alloy wheels, and much more. 2.5L I5 engine - 5 cyl. Interested in the 2013 Volkswagen Beetle Coupe FENDER EDITION - 170 HP 5CYL! MOONROOF! BLUETOOTH! HEATED SEATS! ?